When we hear the word “London”, all that pops into the head is glorious British architecture, spotlessly flowing river Thames, and a tree-lined stroll from Hampton Court Bridge to Kingston. As charming as a Picasso painting, London is perhaps the only metropolis in the world which is ever transforming yet peaceful at its core. Since the city is rich in cultural and culinary diversity, it has something to offer for every age group. Whether you are a history buff, an explorer, a hopeless romantic or just an admirer of art, you are sure to be marvelled by the city’s splendour. Having said that, roaming around is just one part of embracing London; if you really wish to delve in the essence of this city then a calm and peaceful place to stay is just as essential. For a person who is a true lover of beauty, luxury, and serenity, hotels in central London are a perfect spot to stay, and The LaLiT London is definitely that place. The prime property is located close to a number of tourist attractions such as the Tower Bridge. London has a vibe of serenity about it, which is why it is a perfect place for people seeking solitude and relaxation. In case you haven’t truly understood it, we have several reasons why! London is the melting point of art and theatre in England and the best part is it graciously accepts anything interesting offered by Asian, French, Arab, and other cultures. London’s tapestry brims with cultural diversity; be it the Jamaican flair of Brixton, Indian neighbourhoods of Brick Lane, or the Italian vibe of Soho, the city belongs to everyone who lives there. There was a time when British food was infamous for its bland and not-so-interesting taste. Fortunately, that thing is long gone. Exquisite and luxurious, London restaurants are rich with soothing ambience and their food is finger-licking good. All thanks of the culmination of various cultures in the city, the reputation of British food has definitely improved for good. No wonder writers like Shakespeare, Charles Dickens, and Samuel Pepys called London ‘Home’ because the very air of the city exudes silence that automatically helps you channel your thoughts. Places like Old Stone Street, Wellington Arch, and the momentous Buckingham Palace can take you to the land of fairy tales. The city has vividness about its beauty that can truly churn your intuition, imagination, and creativity. For those who find their solace in retail therapy, London markets are a place to be in. The city has a variety of flower markets, grocery shops, ethnic markets, fashion streets, flea markets and what not! 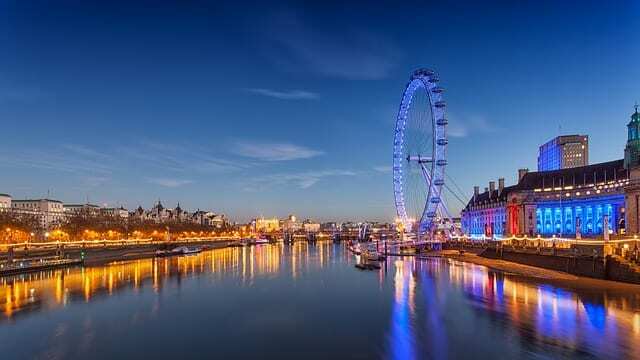 From vintage wine glasses to touristy souvenirs, you can find everything and anything in London. Do not forget to visit the lovely Notting Hill if you are a fan of Julia Roberts and Hugh Grant!